The United States has long been a world leader in its efforts to combat bribery and corruption, and there are countless examples, large and small, of investigations and prosecutions of public officials and those involved in corrupting them. Given the federal system of government in the US, the legislative framework for combating corruption and the related enforcement efforts exists at the local, state and federal levels. The US federal government, however, and in particular the US Department of Justice (DOJ) and the Federal Bureau of Investigation (FBI), have special roles in addressing public corruption. Today, those federal agencies have at their disposal a wide variety of federal public corruption offences, ranging from a very broad federal bribery and gratuity statute (18 USC Section 201) to more focused legislation such as the Foreign Corrupt Practices Act of 1977 (FCPA). The principal statutes addressing bribery and corruption are discussed in Section II.i, although there exist a large number of government agency ethics rules, local and state laws and regulations, and election and campaign finance laws that are largely beyond the scope of this chapter. The primary statute that expressly criminalises corruption of US federal public officials is 18 USC Section 201. The statute has two principal subparts: Section 201(b), which criminalises bribery, and Section 201(c), which prohibits the payment or receipt of gratuities. The primary difference is that Section 201(b) requires proof of a quid pro quo, while the gratuities provision does not. To obtain conviction of the bribe payer under Section 201(b)(1), the government must prove that something of value was given, offered, or promised to a federal public official corruptly to influence an official act. To secure conviction of the person bribed under Section 201(b)(2), the government must show that a public official accepted, solicited or agreed to accept anything of value corruptly in return for 'being influenced in the performance of any official act'. 18 USC Section 666 applies when governmental or other entities receive federal programme benefits of over US$10,000. The bribery provisions contained in Section 666(a)(1)(b) penalise an agent of the entity receiving the funds who corruptly solicits, accepts or agrees to accept anything of value 'intending to be influenced or rewarded in connection with any business, transaction, or series of transactions' of the receiving entity involving anything of value of US$5,000 or more. Section 666(a)(2) covers the bribe payer. The bribery and gratuities provisions of 18 USC Section 201 prohibit both making and receiving either bribes or gratuities. The Hobbs Act prohibition on extortion under colour of official right applies only to the receipt of bribes. Even if an official is not covered under Section 201, Section 666 potentially expands the reach of bribery prohibitions beyond the Section 201 definition to include agents of any state and local organisations that receive more than US$10,000 in federal funds in any one-year period. The Ethics Reform Act of 1989, 5 USC Section 7353, provides the statutory underpinning for the gift bans promulgated in regulations and House and Senate rules. The Act generally prohibits federal officials, including House members and staff, from soliciting or accepting anything of value, except as provided in rules and regulations issued by their supervising ethics office. As discussed in Section II.v, above, gifts to members of Congress valued at less than US$50, or multiple gifts from a single person that do not exceed US$100 in a single calendar year, are permissible if they are not made by registered lobbyists or agents of a foreign government.18 Gifts with a value of under US$10 will not count towards the US$100 limit. House and Senate rules also contain several other narrow exceptions to the gift ban, including informational materials, contributions to a member's campaign fund, and food and refreshments of nominal value that do not constitute a meal. Additionally, members can attend 'widely attended events' free of charge where at least 25 non-congressional employees will be in attendance and the event is related to their official duties. Executive branch employees are permitted to receive gifts of under US$20 but cannot receive gifts totalling US$50 from the same person in the same year.19 Exceptions for executive branch officials not appointed by the President exist for widely attended events and for food and refreshments provided when travelling abroad on official business, so long as the refreshments are not provided by a foreign government and do not exceed the official's daily allowance.20 All executive branch officials can receive gifts motivated by family relationship or personal friendship. The 1938 Foreign Agents Registration Act (FARA) requires persons acting as agents of foreign principals in a political or quasi-political capacity to make periodic public disclosure of: (1) their relationship with a foreign principal, and (2) activities, receipts and disbursements in support of those activities.25 Administrative enforcement of the FARA is the responsibility of the DOJ, National Security Division, Counterintelligence and Export Control Section. No US federal statute specifically addresses private commercial bribery. Federal prosecutors may, however, prosecute commercial bribery through the use of several existing laws. Section 1346 of Title 18 gives prosecutors broad leeway by extending liability under the mail and wire fraud statutes to 'a scheme or artifice to deprive another of the intangible right to honest services'. Honest services fraud has been used to prosecute employees of private companies who breach a fiduciary duty to their employers by, for example, taking or paying bribes.29 With respect to international business, another federal criminal statute that the DOJ has used to prosecute commercial bribery in some circumstances is the Travel Act, 18 USC Section 1952. The Travel Act makes it a crime to travel in interstate or foreign commerce or to use 'the mail or any facility in interstate or foreign commerce' with intent to 'promote, manage, establish, carry on, or facilitate the promotion, management, establishment or carrying on, of any unlawful activity'. The definition of 'unlawful activity' broadly includes 'extortion [and] bribery . . . in violation of the laws of the State in which committed or of the United States'.30 This definition assimilates state commercial bribery laws (as well as the laws of the District of Columbia and federal territories) and provides a basis for federal criminal liability where an individual violates state commercial bribery laws and uses, for example, a phone, fax, wire transfer or email to further the commercial bribe, or travels across state lines in furtherance of the scheme. Currently, approximately 36 US states have commercial bribery laws. As discussed, 18 USC Section 666 also criminalises bribing recipients of federal programme funds. Such recipients can include private companies. A violation of the Travel Act (based on bribery conduct) is punishable by up to five years' imprisonment and a fine of the greater of US$250,000 or twice the pecuniary gain or loss. Domestic bribery laws are criminal offences pursued through both the US federal and state courts. There are no enacting regulations for domestic bribery laws, and the statutes do not provide a private cause of action. Statutory and case law on domestic bribery has remained mostly stable in recent years. This section discusses the areas of recent change in domestic bribery case law and statutes. Congress adopted the Honest Leadership and Open Government Act of 2007 in response to lobbying scandals on Capitol Hill involving Jack Abramoff, a former lobbyist, and Randy 'Duke' Cunningham, a former House Representative.41 The statute bars any congressperson, congressional staffer, or employee of the executive branch, from taking or influencing an official act with the intent to make or influence private hiring decisions on the basis of political party affiliation (18 USC Section 227 (a)–(b)). The FCPA also requires issuers, that is publicly held corporations reporting to, or having a class of securities registered with, the Securities and Exchange Commission (SEC), to keep accurate books and records and to establish internal accounting controls designed to, inter alia, prevent the maintenance or disbursement of funds that could be used as a source of improper payments to foreign officials. These 'accounting provisions' are discussed further in Section V.
As a general matter, the DOJ and the SEC regard officers and employees of corporations and other business entities that are wholly or primarily owned or controlled by a foreign government as government officials for the purposes of the FCPA. In countries where enterprises owned or controlled by the government account for substantial economic activity (e.g., China), there can therefore be large numbers of individuals holding business positions who must be treated as 'foreign officials' for FCPA purposes. Consultants and advisers that have been retained by foreign government agencies to assist in carrying out official functions typically are also considered to be 'foreign officials', as are members of royal families and certain traditional and tribal leaders, depending on the facts and circumstances. Whether payments for gifts, meals, travel or entertainment for the benefit of a foreign official are permissible under the FCPA turns on whether the gifts or payments in question are made with the requisite corrupt intent. There is no de minimis provision or materiality threshold in the statute; so conceivably, even gifts of nominal value made to a foreign official in exchange for favourable official action could trigger liability. Some hallmarks of appropriate gift-giving are when the gift is given openly and transparently, properly recorded in the giver's books and records, provided only to reflect esteem or gratitude, and permitted under local law. Second, it is a defence that the payment was lawful under the written laws of the foreign country.56 This defence is rarely of much practical utility, since the conduct in question must be expressly permitted by a country's written laws (i.e., the absence of an express prohibition on the particular conduct is not sufficient). The FCPA emphasises that the exclusion applies only to non-discretionary actions related to the award of business: 'routine governmental action does not include any decision by a foreign official whether, or on what terms, to award new business to or to continue business with a particular party'.59 In practice, US authorities have also construed this exception only to apply to relatively small payments, though the FCPA is silent on this point. At a minimum, 'grease' payments should be approached with considerable caution. FCPA compliance programmes are trending away from permitting such payments. Companies and individuals can face both criminal and civil enforcement under the FCPA. The DOJ is responsible for all criminal enforcement of the FCPA and for civil enforcement with respect to domestic concerns, foreign companies that are not issuers, directors, officers, shareholders, employees, and agents of the foregoing, as well as foreign nationals. The SEC is responsible for civil enforcement with respect to issuers and their directors, officers, shareholders, employees and agents. The new Corporate Enforcement Policy retains many of the features of the original Pilot Program, but goes further to incentivise self-reporting in two ways. First, it creates a rebuttable 'presumption' that companies will receive a full declination of prosecution if they voluntarily self-disclose, remediate misconduct, and cooperate with the Department's investigation.81 This differs from the language of the earlier Pilot Program, which stated only that the Department would 'consider' such declinations. The new Policy's presumption may be overcome, however, in cases with 'aggravating circumstances involving the seriousness of the offense or the nature of the offender'.82 Second, the new Policy commits the Department to providing specific fine reductions for non-recidivist companies that meet the Policy's requirements. Specifically, the Policy states that where aggravating factors overcome the presumption of a declination, a company will still receive a 50 per cent discount off the low end of the fine recommended under the US Sentencing Guidelines, and generally will not be required to appoint a corporate compliance monitor.83 Under the prior Pilot Program, companies in this situation were promised only a discount of 'up to' 50 pr cent. Individuals, on the other hand, may have different incentives. While plea-bargaining is certainly available, widely used, and often beneficial, it is also the case that the prospect of potential incarceration and reputational harm, combined with available strategies to defend these cases, has resulted in a number of FCPA trials in recent years. In a 2011 case, a US court dismissed an FCPA 78dd-3 charge against a foreign defendant who mailed a package containing an allegedly corrupt purchase agreement from the United Kingdom to the United States because the act of mailing the package took place outside the United States.91 Moreover, the US Court of Appeals for the Second Circuit held in August 2018 that non-resident foreign nationals cannot be held liable for violating the FCPA under accomplice liability theories such as conspiracy or aiding and abetting unless they acted as an agent of a domestic concern or were physically present in the United States.92 A likely result of this ruling is that it may be harder for the DOJ to bring future FCPA cases against foreign nationals acting wholly extraterritorially. Beyond these statutory maximum sentences, the penalties in any particular case will be calculated under the US Sentencing Guidelines, which provide a framework for determining penalties based on a series of factors, including the characteristics of the offence, the characteristics of the offender, and various mitigating and aggravating factors. Any entity found to have violated the FCPA's anti-bribery provisions may also be barred from US government contracting. Even an indictment may render an entity ineligible to sell goods or services to the US government. A finding that an entity has violated the FCPA can also have negative collateral consequences in other dealings with US government agencies, including the ability to obtain US export licences and the ability to participate in programmes sponsored by the Overseas Private Investment Corporation, the Export-Import Bank of the United States, the Agency for International Development and other agencies. The FCPA does not require companies to disclose violations. A public company may have a disclosure obligation under US securities laws if it determines, typically in consultation with disclosure counsel, that a violation or irregularity rises to the level of being material information concerning the issuer's financial condition. Section 1956(a)(1) prohibits attempted or executed financial transactions involving the proceeds of predicate offences with the intent of promoting further predicate offences; with the intent of evading taxation; knowing the transaction is designed to conceal laundering of the proceeds; or knowing the transaction is designed to avoid anti-money laundering reporting requirements. Section 1956(a)(2) prohibits the international transportation or transmission (or attempted transportation or transmission) of funds with the intent to promote a predicate offence; knowing that the purpose is to conceal laundering of the funds and knowing that the funds are the proceeds of a predicate offence; or knowing that the purpose is to avoid reporting requirements and knowing that the funds are the proceeds of a predicate offence. Transactions may fall afoul of Section 1956(a)(1) and (2) if they are meant to promote predicate offences, conceal predicate offences or are designed to avoid anti-money laundering reporting requirements. Any property, real or personal, involved in a transaction or attempted transaction in violation of Sections 1956(a)(1) and (2) is also subject to forfeiture pursuant to 18 USC Section 981(a)(1)(A) and (C).133 As part of its commitment to the global fight against international corruption, the DOJ launched the Kleptocracy Asset Recovery Initiative in 2010 to specifically target and recover stolen assets that are laundered into the United States. In July 2016, the DOJ filed civil forfeiture complaints seeking to recover more than US$1 billion in assets associated with an international conspiracy to launder funds misappropriated from the Malaysian sovereign wealth fund, 1MDB.134 A year later, the DOJ filed a supplemental civil forfeiture action seeking recovery of assets valued at approximately US$540 million.135 The complaints filed by the DOJ represent the largest single action brought under the Kleptocracy Asset Recovery Initiative to date. The DOJ and the SEC have jurisdiction to enforce the anti-bribery provisions of the FCPA. 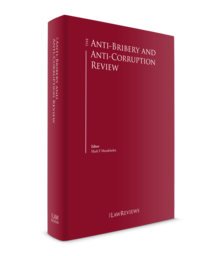 For a discussion of significant trends, developments and cases in anti-bribery enforcement, see the preface to this edition of The Anti-Corruption and Anti-Bribery Review. The United States has signed and ratified a number of significant treaties related to the fight against corruption, including: the Organisation for Economic Co-operation and Development Anti-Bribery Convention; the United Nations Convention Against Corruption (UNCAC); and the Inter-American Convention Against Corruption. The United States has signed, but not ratified, the Council of Europe Criminal Law Convention. The privilege is supported by two related doctrines, the joint defence privilege or 'common interest rule', and the work product doctrine. In general, the common interest rule protects the confidentiality of communications from one party to another party where a joint defence or strategy has been decided upon between the parties and their counsel. The work product doctrine protects materials prepared in anticipation of litigation from discovery by opposing counsel, including the government. It is essential that multinational companies and their counsel understand these privileges and doctrines in connection with everything from routine counselling regarding anti-corruption compliance matters to defence of a government investigation to the proper handling of an internal investigation. In the US, whistle-blowers enjoy protection under a wide variety of federal and state laws. The US False Claims Act, 31 USC Sections 3729–3733, for example, encourages whistle-blowers by promising them a percentage of the money received or damages won by the government and at the same time protects them from wrongful dismissal or retaliation. While Chapter 8 and the Principles of Prosecution of Business Organizations are of general application and not specifically addressed to anti-corruption compliance, many recent settled FCPA enforcement actions describe in significant detail the DOJ's and SEC's views regarding the essential elements of an effective anti-corruption compliance programme. These details are typically set out in an attachment to a form of settlement agreement. In settling FCPA cases, both the DOJ and the SEC have frequently cited the existence of a genuine compliance programme as a mitigating factor. Most recently, in February 2017 the DOJ released the Evaluation of Corporate Compliance Programs (the Evaluation Guidance), a guidance document that sets out a list of common questions that the Fraud Section may ask in evaluating corporate compliance programmes in the context of a criminal investigation.153 The questions are divided into 11 topics: (1) analysis and remediation of underlying misconduct; (2) senior and middle management; (3) autonomy and resources; (4) policies and procedures; (5) risk assessment; (6) training and communication; (7) confidential reporting and investigation; (8) incentives and disciplinary measures; (9) continuous improvement, periodic testing and review; (10) third-party management; and (11) mergers and acquisitions.154 Although the Evaluation Guidance does not indicate correct answers to the compliance questions, it does give companies insight into the Fraud Section's views on the components of an effective compliance programme and builds upon the DOJ's hiring of a full-time compliance expert in 2015. Notably, there has been a lull in enforcement under the early Trump administration. In September 2017, Deputy Attorney General Rod Rosenstein explained that existing federal policies on prosecuting corporate crime were 'under review'.158 Rosenstein added that he 'anticipate[d] there may be some change to the policy on corporate prosecutions', and that the DOJ 'may in the near future make an announcement about what changes [it] [is] going to make to corporate fraud principles'.159 Caution should be taken, however, before drawing any conclusions about the new administration's enforcement priorities, as the absence of prosecutions may simply be a by-product of personnel issues, including turnover and the current lack of permanent leadership, or otherwise reflect normal variation in enforcement patterns. Self-reporting by companies of FCPA issues continues to be a significant, if not uncontroversial, feature of the US government's FCPA enforcement programme. In April 2016, the DOJ launched the FCPA Pilot Program to further incentivise companies to report alleged violations as a means of obtaining mitigation credit, or in some circumstances a declination to prosecute. This year, the Department formalised the Pilot Program through the FCPA Corporate Enforcement Policy. Consequently, it is expected that self-reporting will remain a common phenomenon. 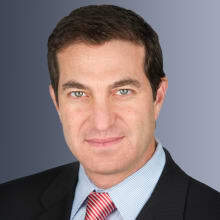 1 Mark F Mendelsohn is a partner at Paul, Weiss, Rifkind, Wharton & Garrison LLP. The author would like to thank Jonathan Silberstein-Loeb and Diana V Valdivia for their substantial assistance in the preparation of this chapter. 3 Evans v. United States, 504 U.S. 255, 268 (1992). 5 See, e.g., United States v. Rabbitt, 583 F.2d 1014, 1023 (8th Cir. 1978). 7 Dixson v. United States, 465 U.S. 482, 499 (1984). 8 5 U.S.C. §501 (1978); U.S. Office of Personnel Management, 2018 Pay Tables for Executive and Senior Level Employees (2018), available at www.opm.gov/policy-data-oversight/pay-leave/salaries-wages/salary-tables/pdf/2018/EX.pdf. 9 5 U.S.C. §501 (1978). 10 5 C.F.R. §2635.804(a) (2007). 12 18 U.S.C. §208; 5 C.F.R. §2635; U.S. Office of Gov't Ethics, Outside Employment Limitations, available at www.oge.gov/Topics/Outside-Employment-and-Activities/Outside-Employment-Limitations/. 13 United States v. Sun-Diamond Growers of California, 526 U.S. 398, 405 (1999). 14 See Rule 25 of the Rules of the House of Representatives (2008), available at www.ethics. house.gov/sites/ethics.house.gov/files/documents/2008_House_Ethics_Manual.pdf. Standing Rule XXXV of the Senate (2015), available at https://www.ethics.senate.gov/public/index.cfm/files/serve?File_id=efa7bf74-4a50-46a5-bb6f-8d26b9755bf#page=9. 17 Exec. Order No. 13490 74 FR 4673, 2009 WL 166652 (2009), available at www.whitehouse.gov/the_press_office/ExecutiveOrder-EthicsCommitments. 18 See footnote 14 above. For general background on the House and Senate Rules see, House Committee on Ethics, The House Gift Rule, available at http://ethics.house.gov/gifts/house-gift-rule; Senate Select Committee on Ethics, Gifts, available at www.ethics.senate.gov/public/index.cfm/gifts. 19 5 C.F.R. §2635.204(a); U.S. Office of Gov't Ethics, Gifts From Outside Sources, available at www.oge.gov/Topics/Gifts-and-Payments/Gifts-from-Outside-Sources/. 25 22 U.S.C. §611 et seq. 27 See, e.g,, Manafort Superseding Indictment (June 8, 2018), available at www.justice.gov/file/1070326/download. 28 Robert Kelner, DOJ Announces Planned Release of FARA Advisory Opinions, (May 23, 2018), available at www.insidepoliticallaw.com/2018/05/23/doj-announces-planned-release-fara-advisory-opinions/. 30 18 U.S.C. §1952(b) (2012). 31 18 U.S.C. §201(b); 18 U.S.C. §3571(b). See also Sun-Diamond, 526 U.S. at 405. Corporations convicted under 18 U.S.C. 3571(c) may be fined up to US$500,000. 32 18 U.S.C. §201(c); 18 U.S.C. §3571. 33 18 U.S.C. §666(a); 18 U.S.C. §3571. 34 18 U.S.C. §1951; 18 U.S.C. §3571. 35 Peter J Henning and Lee J Radek, The Prosecution and Defense of Public Corruption, 8 (2011). 37 130 S. Ct. 2896, 2929 (2010). 38 McDonnell v. United States, 139 S.Ct. 2355 (2016). 41 Peter J Henning and Lee J Radek, The Prosecution and Defense of Public Corruption, 67 (2011). 42 See 15. U.S.C. §§78dd-1(a), 78dd-2(a), 78dd-3(a) (1998). 43 15 U.S.C. §78dd-1(f )(1)(a). 44 8 C.F.R. § 319.5 (2004). 45 See United States v. Carson, 2011 U.S. Dist. LEXIS 88853 (C.D. Cal. 18 May 2011); 15 U.S.C. §§78dd-1(f)(1), 78dd-2(h)(2), 78dd-3(f )(2). 47 United States v. Esquenazi, 752 F.3d 912, 925 (11th Cir. 2014). 51 15 U.S.C. § 78dd-l(c)(2)(A)-(B). (See discussion of defences, Part D). 52 See, e.g., DOJ FCPA Review Procedure Release Op. 's 81-01 (1981), 81-02 (1981), 82-01 (1982). 55 H.R. Conf. Rep. No. 100-418, at 922 (1988). 57 15 U.S.C. §§78dd-l(b), 78dd-2(b), 78dd-3(b). 58 15 U.S.C. §78dd-3(f )(4). 59 15 U.S.C. §§78dd-l(f )(3), 78dd-2(h)(4), 78dd-3(f )(4). 60 15 U.S.C. §§78dd-1(f )(2), 78dd-2(h)(3), 78dd-3(f )(3). 61 H.R. Conf. Rep. No. 100-418, at 919-21 (1988). 62 15 U.S.C. §§78dd-l(a), 78dd-2(a). 65 15 U.S.C. §§78dd-1(a), 78dd-2(a). 67 SEC v. Straub, No. 1:11-cv-09645-RJS (S.D.N.Y. Feb. 8, 2013). 69 id. But see SEC v. Steffen, No. 1:11-cv-09073-SAS (S.D.N.Y. Feb. 19, 2013) (finding no personal jurisdiction over a foreign defendant who allegedly pressured executives to authorise bribes during a telephone call with the United States and commenting that 'the exercise of jurisdiction over foreign defendants based on the effect of their conduct on SEC filings is in need of a limiting principle'). 71 Memorandum from Mark R Filip, Deputy Attorney Gen., Dep't of Justice, on Principles of Fed. Prosecution of Bus. Orgs. to Heads of Dep't Components and U.S. Attorneys, U.S.A.M. §§9–28.700 (28 August 2008), available at www.usdoj.gov/opa/documents/corp-charging-guidelines.pdf. 72 See Exchange Act Release No. 44969, Accounting and Auditing Enforcement Release No. 1470 (23 October 2001). 74 See., e.g., Bruce Carton, U.S. Chamber of Commerce Pushes for Further FCPA Clarity and Reforms, (Feb. 20, 2013), available at www.complianceweek.com/us-chamber-of-commerce-pushes-for-further-fcpa-clarity-and-reforms/article/281053/. 75 See DOJ Memorandum Authored by Deputy Attorney General Sally Quillian Yates (Yates Memo) on Individual Accountability for Corporate Wrongdoing (9 September 2015) at 2-5, www.justice.gov/dag/file/769036/download. 77 U.S. Dep't of Justice, The Fraud Section's Foreign Corrupt Practices Act Enforcement Plan and Guidance 2 (the 'Memorandum') (Apr. 5, 2016), www.justice.gov/opa/file/838386/download. In addition to the Pilot Program, the memorandum also announces other enhancements to DOJ's FCPA enforcement framework, including an increase in DOJ and FBI staff dedicated to FCPA prosecutions and enhanced collaboration efforts with foreign authorities. 81 See U.S. Attorneys' Manual, www.justice.gov/usam/usam-9-47000foreign-corrupt-practices-act-1977#9-47.120. 82 id. at § 9-47.120(1). 85 Memorandum from Rod Rosenstein, Deputy Attorney Gen., Dep't of Justice, to Heads of Dep't Components U.S. Att'ys Policy on Coordination of Corporate Resolution Penalties (May 9, 2018), www.justice.gov/opa/speech/file/1061186/download. 87 SEC Press Rel. 2013-65, SEC Announces Non-Prosecution Agreement With Ralph Lauren Corporation Involving FCPA Misconduct (22 April 2013), www.sec.gov/News/PressRelease/Detail/PressRelease/1365171514780. 89 U.S. Dep't of Justice, U.S.A.M., Criminal Resource Manual §§9–1018 (2000). 91 U.S. v. Patel, No. 09-cr-338 (D.D.C. June 2011). 92 United States v. Hoskins, 2018 WL 4038192 (2d Cir. Aug. 24, 2018). 93 15 U.S.C. §§78dd-2(g), 78dd-3(e), 78ff(c); 18 U.S.C. §3571. 94 15 U.S.C. §§78dd-2(g)(3), 78dd-3(e)(3), 78ff(c)(3) (2002). 95 15 U.S.C. §§78dd-2(g), 78dd-3(e), 78ff(c). 96 15 U.S.C. §§78u, 78u-3 (2010). 99 15 U.S.C. §78m(b) (2006). 102 15 U.S.C. §78m(b)(4)-(5); e.g., SEC v. Kelly, 765 F. Supp. 2d 301, 322 (S.D.N.Y. 2011) ('SEC need not prove scienter to succeed on a claim [. . . liability] is predicated on reasonableness [. . .] of defendant's conduct [. . .]'). 104 See, e.g., In the Matter of Watts Water Technologies, Inc. and Leesen Chang, SEC Administrative Proceeding File No. 3-148585 (13 October 2011). 105 See, e.g., United States v. Control Components Inc., No. 8:09-cr-00162 (C.D. Cal. 22 July 2009); United States v. SSI Int'l Far East Ltd., No. 3:06-cr-00398-KI (D. Or. 16 October 2011). 106 15 U.S.C. §78ff(a); 18 U.S.C. §3571. 107 18 U.S.C. §3282 (2003). 109 See 26 U.S.C. §162(c)(1)(2006). 110 18 U.S.C. §1956(c)(7) (2012) (listing the predicate offences as 'specified unlawful activit[ies]'). 111 See 18 U.S.C. §1956. 112 United States v. Quinones, 635 F.3d 590, 594 (2d Cir. 2011) (quoting United States v. Ferrarini, 219 F.3d 145, 154 (2d Cir. 2000) ('A conscious avoidance instruction permits a jury to find that a defendant had culpable knowledge of a fact when the evidence shows that the defendant intentionally avoided confirming the fact'). 113 e.g., United States v. Blair, 661 F.3d 755, 764 (4th Cir. 2011) ('Almost any exchange of money between two parties qualifies as a financial transaction subject to criminal prosecution under § 1956, provided that the transaction has at least a minimal effect on interstate commerce and satisfies at least one of the four intent requirements. . .'). 115 18 U.S.C. §1956(c)(9) (2012). 116 United States v. Akintonbi, 159 F.3d 401, 403 (9th Cir. 1998) (finding that checks with no value were proceeds under the statute). 117 United States v. Santos, 553 U.S. 507, 515–516 (2008). 118 e.g., United States v. Richardson, 658 F.3d 333, 340 (3d Cir. 2011). 119 See DOJ Press Release 18-980, Two Members of Billion-Dollar Venezuelan Money Laundering Scheme Arrested (25 July 2018), www.justice.gov/opa/pr/two-members-billion-dollar-venezuelan-money-laundering-scheme-arrested; Associated Press, Malaysia's Former First Lady Charged with Money Laundering Related to 1MDB Scandal, Time, (5 Oct. 2018), available at www.time.com/5414935/malaysia-rosmah-mansor-charged-1mdb/. 120 United States v. Lee, 558 F.3d 638, 642 (7th Cir. 2009) (payment of the advertising expenses of a prostitution enterprise promoted the underlying offence). 121 18 U.S.C. §1956(a)(2)(A); United States v. Moreland, 622 F.3d. 1147 (9th Cir. 2010). 122 United States v. Heid, 651 F.3d 850, 855 (8th Cir. 2011). 123 See, e.g., United States v. Blankenship, 382 F.3d 1110, 1129-30 (11th Cir. 2004) (finding that a defendant's performance of the 'minimum number of transactions reasonably necessary' to spend money at issue and failure to use intermediate accounts or dissociate himself from the accounts in which money was deposited supported a finding that the defendant did not engage in money laundering). 124 United States v. Magluta, 418 F.3d 1166, 1176 (11th Cir. 2005). 125 18 U.S.C. §1956(a)(1-2); see also United States v. Bowman, 235 F.3d 1113, 1118 (8th Cir. 2000). 126 Bowman, 235 F.3d at 1118 (citing United States v. Young, 45 F.3d 1405, 1413 (10th Cir. 1995), cert. denied, 515 U.S. 1169 (1995)) (not reaching the structure of the transaction because the evidence indicated that offender was unaware of the requirement government alleged). 128 See United States v. Bodmer, 342 F. Supp. 2d 176, 191-92 (S.D.N.Y. 2004) (finding that a foreign national defendant had conspired to violate the money laundering statue's international transfer of funds provision even where, under the pre-1998 version of the FCPA, he was not subject to criminal punishment under the FCPA). 129 See, e.g., United States v. Kozeny, 638 F. Supp. 2d 348 (S.D.N.Y. 2009) (finding testimony of two witnesses that defendant agreed with others that one of the uses of his investment would be bribing foreign government officials sufficient for a reasonable jury to find conspiracy to launder money under Section 1956(a)(2)). 130 See, e.g., United States v. Jean Rene Duperval, No. 1:09-cr-21010-JEM (S.D. Fl. 2009) (money laundering prosecution of former director of international relations for Haiti Telco). 132 18 U.S.C. §1957(b)(1)(2) (2012). 133 18 U.S.C. §981(a)(1)(A) and (C). 134 See DOJ Press Release 16-839, United States Seeks to Recover More Than US$1 Billion Obtained from Corruption Involving Malaysian Sovereign Wealth Fund (20 July 2016), www.justice.gov/opa/pr/united-states-seeks-recover-more-1-billion-obtained-corruption-involving-malaysian-sovereign. 137 31 U.S.C. §5331 (2011); 31 C.F.R. §§103.22, 103.30 (2011). 138 31 U.S.C. §5314 ; 31 C.F.R. §103.24. 139 31 U.S.C. §5318 (2011). 140 Ratzlaf v. United States, 510 U.S. 135, 137 (1994); see also United States v. Tatoyan, 474 F.3d 1174, 1177 (9th Cir. 2007). 141 31 U.S.C. §5322(a) (2001). 143 Inter-American Convention Against Corruption, Article IX, 29 March 1996. 144 Deirdre Walsh, CNN exclusive: Obama signs STOCK Act to address 'defecit of trust' in Washington, CNN (4 April 2012), available at www.cnn.com/2012/04/04/politics/stock-act-signing/index.html. 145 The White House, Office of the Press Secretary, Remarks by the President in State of the Union Address (24 January 2012), available at www.whitehouse.gov/the-press-office/remarks-president-state-union-address. 146 Deidre Walsh and Dana Bash, 'Congress closes loophole in stock trading law after CNN report', (August 3, 2012), available at www.cnn.com/2012/08/02/politics/stock-act-loophole/index.html. 147 Upjohn Co. v. United States, 449 U.S. 383, 389 (1981). 148 Dodd-Frank Wall Street Reform and Consumer Protection Act, Pub. L. No. 111-203, 124 Stat 1376 (2010). 149 Digital Realty Trust, Inc. v. Somers, 138 S. Ct. 767, 782 (2018). 150 U.S. Dep't of Justice, U.S.A.M., Criminal Resource Manual, §§9–28.300. 151 See DOJ Press Rel. 12-534, Former Morgan Stanley Managing Director Pleads Guilty for Role in Evading Internal Controls Required by FCPA (25 April 2012), www.justice.gov/opa/pr/2012/April/12-crm-534.html.288. 152 See SEC Press Rel. 2013-65, SEC Announces Non-Prosecution Agreement With Ralph Lauren Corporation Involving FCPA Misconduct (22 April 2013), www.sec.gov/News/PressRelease/Detail/PressRelease/1365171514780. 153 U.S. Dep't of Just., Criminal Division, Fraud Section, Evaluation of Corporate Compliance Programs (Feb. 8, 2017), www.justice.gov/criminal-fraud/page/file/937501/download. 156 Remarks of Steven R. Peikin, Co-Director, SEC Enforcement Division, at New York University School of Law (Nov. 9, 2017), www.sec.gov/news/speech/speech-peikin-2017-11-09.